The rule of thirds is one of the basic, yet very effective, rules that one can follow while composing a photo. 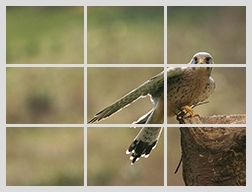 Consider the photo to be divided into nine equal parts by two horizontal and two vertical lines as shown in the figure. 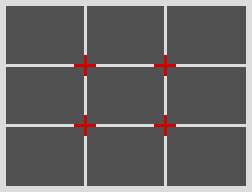 The rule of thirds encourages one to compose a photo such that an "object of interest" is placed either at the intersection of two lines (shown in red) or along one of the four lines. Studies have shown that when viewing photos our eyes naturally concentrate on one of the intersection points rather than the center . 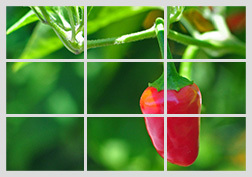 The rule of thirds works with this natural way of viewing an image. 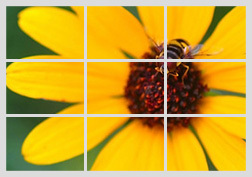 Below are a few shots composed following the rule of thirds. Observe that interesting objects are placed near the intersection points and all major lines are aligned with one of the four lines. Where should I intentionally place them? P. K. Bert, The Art of Composition. Allworth Communications, Inc., 2005. D. Rowse,"Rule of thirds." [Online]. 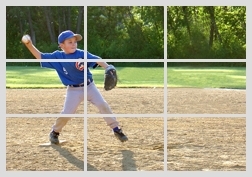 Available: http://digital-photography-school.com/rule-of-thirds. [Accessed: Oct 3, 2009].